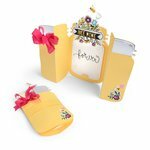 Create unique projects with the Sizzix Life Made Simple Collection Rachael Bright Card Tri-Shutter Thinlits Dies. 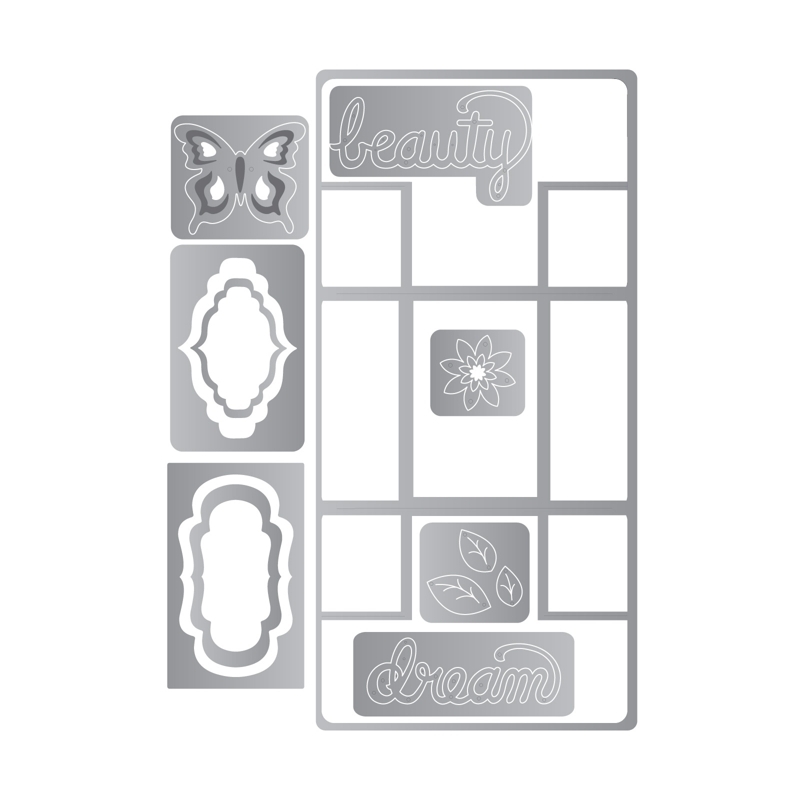 Made of carbon steel, they can easily cut through most paper to help you craft beautiful layouts. 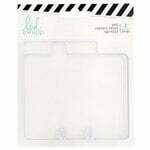 This pack comes with a storage envelope so that organizing your dies will be easy. I was thinking this card would fold up into a standard A2 envelope but it's smaller, makes closer to a 3" X 4" card when finished. It cuts nicely and is a quick card to make. I like using a printed paper with this. This card is extremely versatile and the sky's the limit when it comes to variations. I am well pleased with the die and design. The only reason I give it only 4 stars is to make sure people know that it produces a small card (2.75" x 4") when folded and 4" x 8.5" when opened. 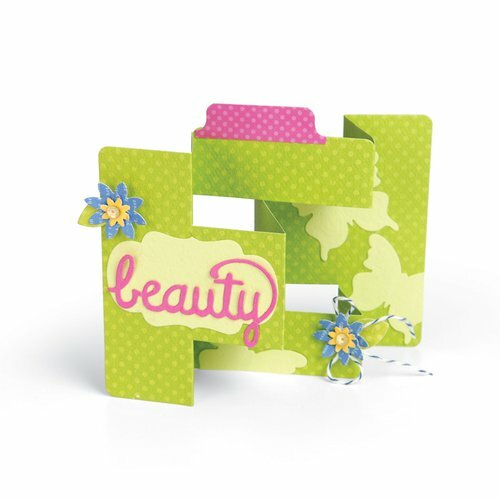 The design is ideal for cards that can be displayed standing up. Great product. Well engineered. 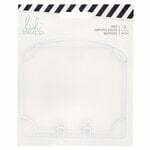 Great base for many designs. The idea for a card is good, but I had hoped the completed size would have been bigger. I know you can measure, trim and fold this card, HOWEVER this thin die makes it faster and easier. Making this grand looking card just got a lot easier. Really fun & cute! I think it would make a special gift tag! 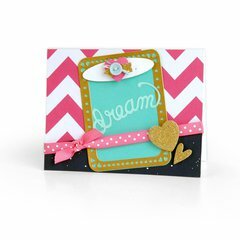 Great & versatile card die! This is among my favorite3d card dies! The product is very good quality and does what it claims to do. However I was very diappointed in the size of the finished card. It is extremely small. It is more like the size of a gift enclosure card. I like this die as it cuts down the time I had to spend cutting a tri-shutter card by hand. It also makes it easier to decorate and it folds together so much nicer than when I cut it out by hand. Does this die make an A2 size card? 4-1/4 x 5-1/2. Please reply to [email protected] Thank you By: Journal16 (27-May-15) Helpful Question? Yes | No Thank you! Report Inappropriate This question has been reported. Thank you! No. It's very small. Disappointed me as to how small. I have bought many of these die cards and this is the only one so far that has been very disappointing. Maybe they will come out with an A2 size latter. Sorry By: sandy.rasmussen (28-May-15) Helpful Answer? Yes | No Thank you! Report Inappropriate This Answer has been reported. Thank you! OK, I get it finally after reading both descriptions, questions & answers. This die & the bigger one are both for SCRAPBOOKING, not card making, right? Obviously us card makers would also like to use a die like this. Can you make that happen for us? Thank you. By: ingrid1946 (30-Aug-17) Helpful Question? Yes | No Thank you! Report Inappropriate This question has been reported. Thank you! I have only cut out the pieces, thus far. Since you had a ?, I took it out and have thought about it's use(s). You could always lay the card back side up (before bending the fold lines), to write or stamp your message . 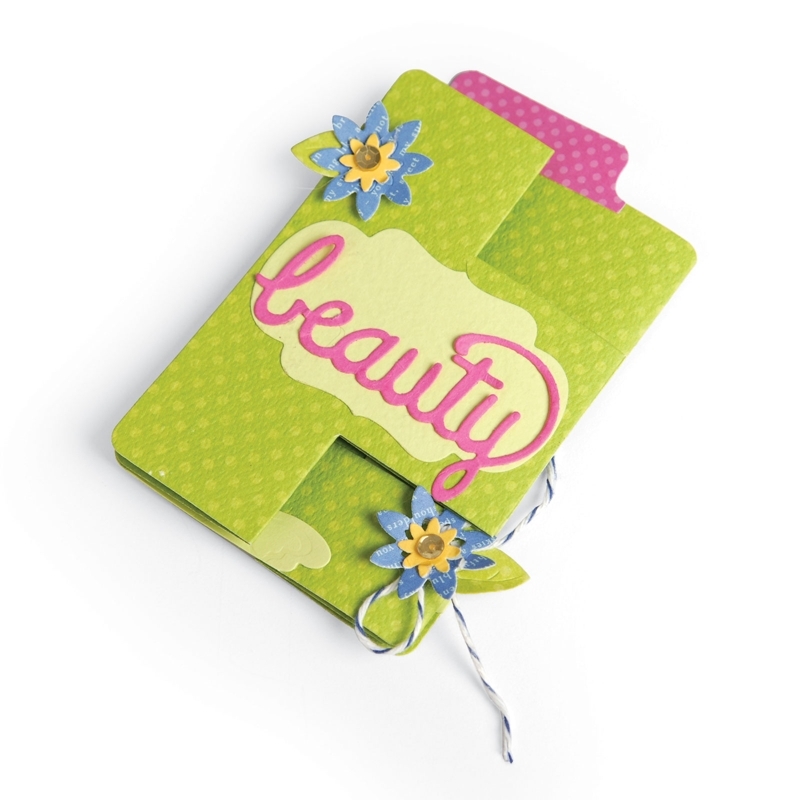 You can mix it up with any of your other dies or pre-cut stash. 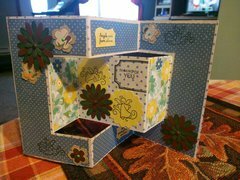 Add buttons, ribbons or other embellishments. Sometimes, all we want to do it put joy in the heart of the one(s) we love a smile across their face. Messages: Have a fun day! ...a joy-filled day...see someone does care (love you). 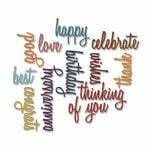 Some one-liner & bright or frilly--whatever fits the mood you want to share. Don't let your tools inhibit your creativity. Get out some sets, cut & play w/them together. You'll probably want to use a 4.3" x 5.75" env. Make sure to burnish fold lines well. Have fun! By: pssdr (05-Sep-17) Helpful Answer? Yes | No Thank you! Report Inappropriate This Answer has been reported. Thank you! The tri-shutter die creates a tri-shutter card with rounded corners. It's a big smaller than an A2 when folded, though, so envelope sizing can be tricky unless you make your own. By: denicher (02-Sep-17) Helpful Answer? Yes | No Thank you! Report Inappropriate This Answer has been reported. Thank you!